Students learn about the Hellenistic Period, in which ancient Greek civilization spread throughout much of the known world despite the decline of Greece itself. First, students make the acquaintance of Alexander the Great, whose military conquests established the Hellenistic Empire. 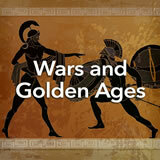 Then, they examine the achievements of the age in areas such as the arts and sciences, philosophy, and government. Next, small groups research and present reports identifying and explaining specific Hellenistic achievements. Finally, the groups discuss the roles of great individuals in the developments that come after them. 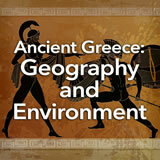 In this experience, students learn about the Hellenistic Period, in which ancient Greek civilization spread throughout much of the known world despite the decline of Greece itself. First, students make the acquaintance of Alexander the Great, whose military conquests established the Hellenistic Empire. 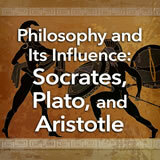 Then, they examine the achievements of the age in areas such as the arts and sciences, philosophy, and government. Next, small groups research and present reports identifying and explaining specific Hellenistic achievements. Finally, the groups discuss the roles of great individuals in the developments that come after them. Students will work together in small groups in scenes 4 and 5. 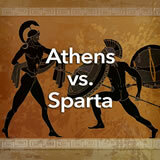 Explain the conquest of Greece by Macedonia. 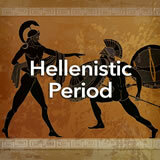 Describe the spread of Hellenistic culture by Alexander the Great. 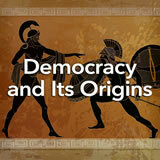 Identify important social and political achievements in the Hellenistic Period. As Greece fell into decline, a nearby nation took over its power—and more. You’ll learn about it in this experience. It’s 336 B.C.E., you’re 20 years old, and you’re a prince of your country. Your father dies, making you king. What would you like to do? Perhaps you’ll embark on a building project to make your country beautiful and provide jobs for all? Perhaps you’ll gather your friends around the throne and hang out and have fun for the rest of your life? 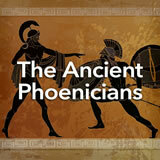 A young man named Alexander found himself in that position in the kingdom of Macedon, just north of Greece. Students probably do not know it yet, but Alexander tried to conquer the world—and nearly succeeded, in the part of the world that was known to his culture at the time.